Spring is a great time to plant new trees. 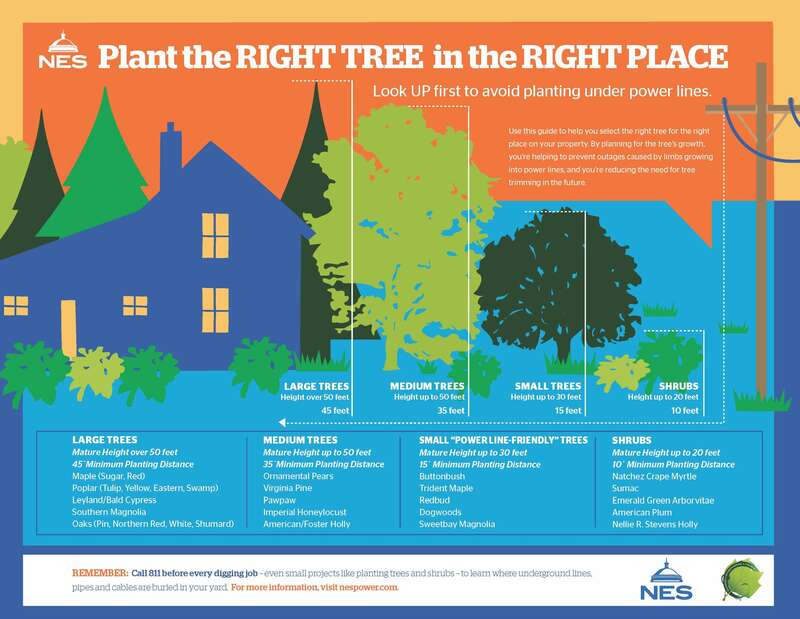 NES reminds customers to be smart about where you plant, especially near power lines. It may be hard to visualize the height and spread of a tree at its maturity. That’s why NES has created a Right Tree Right Place guide to help you select the right trees for your planting location to prevent tree trimming in the future. Be sure to look up and down. Trees grow to varying heights and spread at their maturity. Consider the tree or shrub’s location relative to nearby power lines and electrical equipment. Analyze the condition of your lot, including soil conditions and drainage. Determine your planting goal: shade, flowers or leaves, fruit or visual screening. 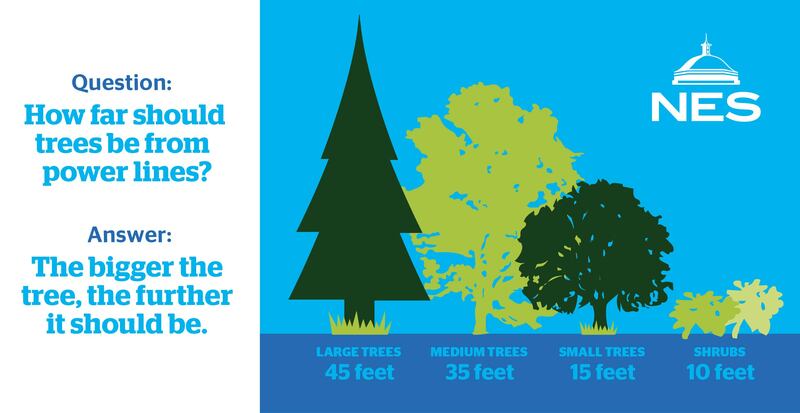 We’ve also compiled a list of trees that are safe to plant a distance of 10 feet from overhead lines.